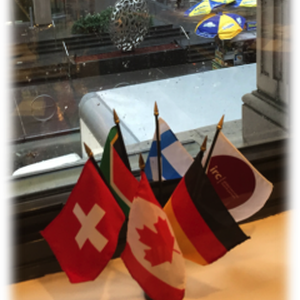 The QualiFind Group and consultants from our ExeQfind, TechQfind and MaquilaFind practices recently joined more than 70 colleagues from 45 member firms of IRC Global Executive Search Partners in New York City for IRC’s annual conference. This year’s conference theme of “Proud to Belong” was very relevant to IRC’s global expansion. 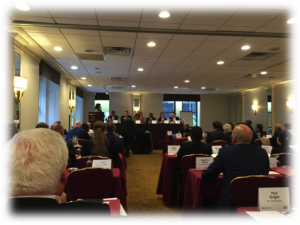 The conference held from September 30 through October 2nd was held at The Warwick Hotel in New York’s Midtown. Cross-cultural leadership was the main theme of the conference. An expert panel of five senior executives and an intercultural expert was convened to discuss issues such as aligning mission / purpose with culture, diversity initiatives, communication issues, intercultural management, and organizational development for multinational organizations. 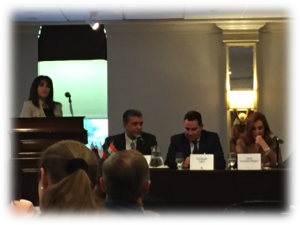 The QualiFind Group was proud to have Luis Alvarez on the panel. Luis is the President and CEO of our client organization – Lancer Corporation. Luis has utilized both our ExeQfind and MaquilaFind practices for search assignments in the US and Mexico. In addition to the leadership panel session, there were a number of other speakers during the three day conference speaking on a broad range of thought leadership and best practices. Some of the presentations and speakers included a state of the executive search industry presentation by Christopher W. Hunt – President of Hunt Scanlon Media. John Lawler of the firm – PrimeGenesis gave an engaging presentation on best practices in executive onboarding. Best-selling author and media commentator – Mark Stevens provided strategies for creating brand value and Chris Clark provided insights into the expanded role that CIO’s are playing in the modern corporate boardroom. Another highlight at this year’s conference was presentations by member firms for search assignments that were successfully completed under unique or especially challenging circumstances. Principals from member firms from Brazil (Hamilton Teixeira), the Netherlands (Cees Hagoort) and Los Angeles (Gary Saenger) provided an overview of a successful CEO search they jointly completed for an FMCG with a global footprint. Their presentation was particularly interesting given that several key metrics and performance standards earlier established within the alliance were exceeded with this joint assignment. Since the 2014 annual meeting in Istanbul, much has been accomplished within the alliance. 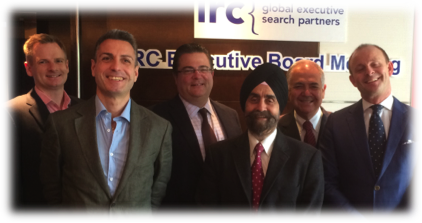 One initiative undertaken by IRC’s Board was a concerted effort to bring in new member firms from emerging markets. This effort was successful as seen by the introduction of principals from new member firms from India, Hungary, Nigeria, Thailand and Malaysia. IRC Board Member and Senior Managing Partner of The QualiFind Group – Warren Carter was involved in the selection and recruitment of these new members. 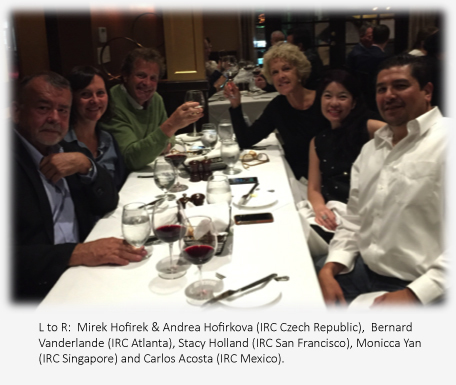 Warren traveled to Madrid, Bangkok and Kuala Lumpur with other IRC Board Members to meet with prospective members in-person. Warren pointed out the strategic importance of having a more robust presence in these emerging markets as multinational companies seek out new markets for their products and services. Founding member and CFO of the alliance – Jan Holmstrom confirmed that IRC member firms are increasingly serving more organizations in more countries than ever before when he released the alliance’s financial report during the conference. Financial performance figures for IRC while not published are at their highest amount ever. One of the greatest benefits of the annual conference comes from the dialogue and camaraderie shared each evening of the conference. The host member is typically involved in selecting restaurants where members are able to experience regional cuisine while speaking with each other in an informal setting. IRC’s New York partner – Steve Littman and Jane Lyons of Rhodes Associates was instrumental in choosing venues that would allow members the greatest opportunity to socialize on both a personal and professional basis. These are opportunities for member consultants to broaden their cultural understanding, strengthen personal relationships and discuss opportunities to partner for the benefit of their respective clients. In one of the sessions, location choices were presented for the next annual meeting and a vote was taken with the majority vote going to Prague. The alliance rotates the annual conference location from region to region each year. The 2014 conference was held in Istanbul, while the 2013 conference was in Vancouver, and the 2012 conference in Berlin. Consultants attending the conference from The QualiFind Group were Warren Carter, Carlos Acosta, Mark Haas and Alejandro Rivera.